"Great location, friendly staff, great breakfasts"
"The bugs in the bed"
"Lots of bugs in the room and toilet paper not replaced." The location was perfect. I was there for a trade show at the Convention Center, so was in very close proximity to that and a number of restaurants. Given that it is right on International Drive, practically every type of cuisine that you'd ever want is represented nearby. I'm unsure if all of the rooms are the same, but I had a one-bedroom suite overlooking the pool. I liked the fact that the bedrooms were in the interior so you don't really hear any activity happening outside at the pool or the hot tub. The hotel pretty much had everything: pool, workout facility, bar, continental breakfast, small sundry store - and if you need anything else, there's a Walgreen's within a 5 minute walk. 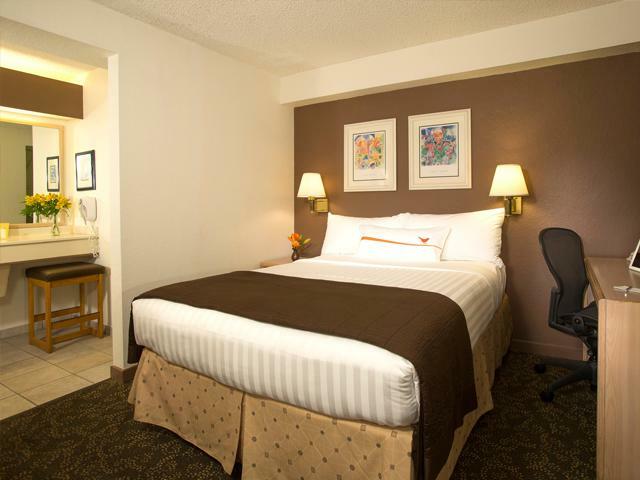 The room was very clean on arrival, and bed made up on a daily basis. Also two flat-screen TVs are nice: one in the living area, and one in the bedroom. Nothing that I didn't like - but the room was fairly straightforward. It's not plush by any means, but has everything you need. Only thing that was a minor inconvenience was that the nightstand has outlets built-in, but then it wasn't plugged into the wall outlet, and upon trying couldn't get it to plug in. Unsure why. 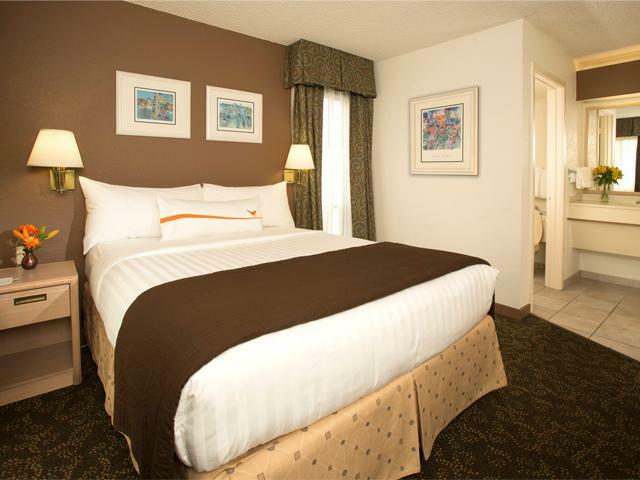 Search for Sonesta Es Suites Orlando - International Drive discounts in Orlando with KAYAK. 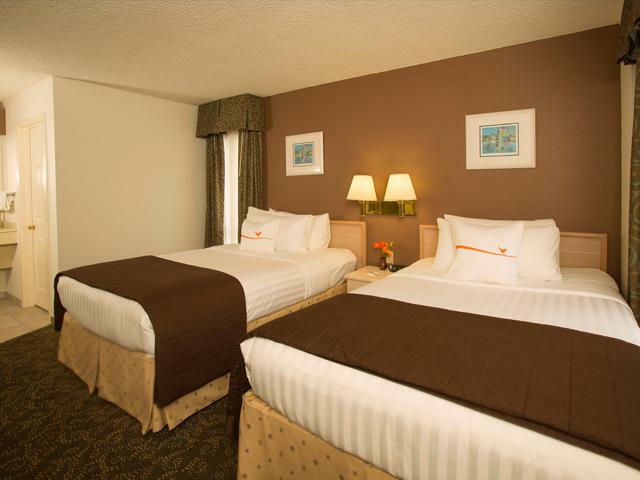 Search for the cheapest hotel deal for Sonesta Es Suites Orlando - International Drive in Orlando. KAYAK searches hundreds of travel sites to help you find and book the hotel deal at Sonesta Es Suites Orlando - International Drive that suits you best. 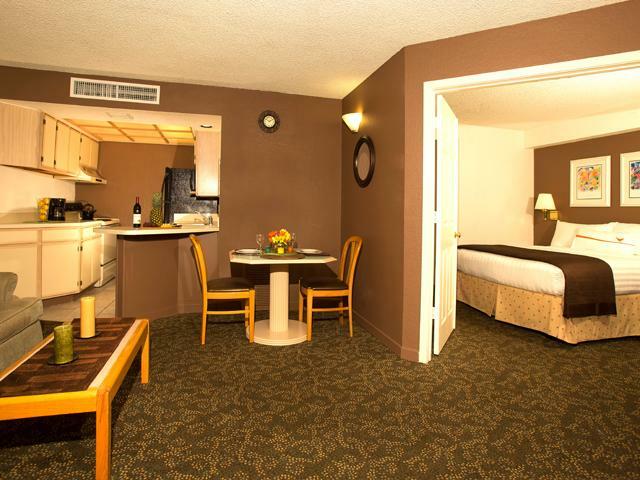 $201 per night (Latest starting price for this hotel) - Save up to 25%.